Hey, first time posting here i recently picked up an apple IIc that was not working and spent the time fixing it. I don't have a ton of history on the unit, it was in fairly good condition, when i opened it up it had a Z-RAM Ultra 1 inserted inbetween the MMU and CPU removing that got it to boot. Tested the RAM it works. Floppy drive is not working, at first it was not making the normal clicks I remember. When powering on the head will click when it is manually returned to home. its almost as if the stater motor is not getting enough power, or is being sent the wrong instructions. If i push the read/write head to the furthest position from home it will take several reboots for it to return home and make clicking, slow progress which is why my instinct was that the rails needed greasing. Saddly i don't have anything that is "Known Good" just two drives (one external) and the internal one it came with that do the exact same thing when connected internally. Using the external connector does nothing for either drive, it will light the red LED on the drive with the housing for a split second when connected when powered on, but no movement when i try pr#5 it will say check disk drive and no lights or noise through the external connector. I think it may be the IWM as both drives behave the same. maybe they both need re-capping. The fact that you are getting the same behaviour from two different drives would suggest that perhaps you have power supply issues. Whilst it is possble that you have bad chip(s) on the motherboard, the most likely (and common) fault in these old machines is in the power supply. The //c is fairly tolerant of the input voltage from the power brick (12-18V IIRC), but there may be faulty capacitors inside the //c itself. I would be checking for any bulging and/or leaking capacitors in the PSU section (not the power brick) and replacing any suspects as a first task. Also verify what voltage the power brick is supplying. If in doubt, there are replacement power bricks available on ebay - or in my case I repurposed an old laptop charger and soldered on the DIN connector used by the //c. 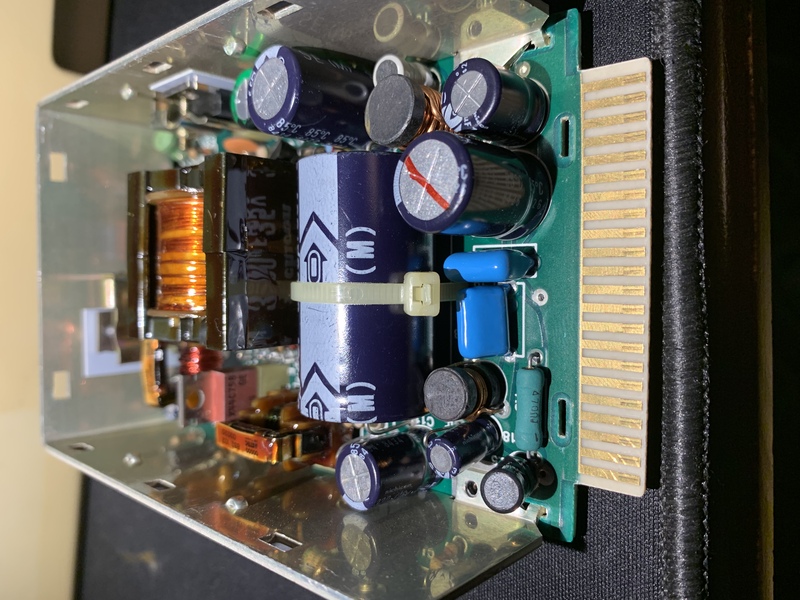 Ensuring a good power supply is a critical first step when diagnosing issues such as these. I will dig around to see if i can find a guide for what voltages should be coming out of the PSU and if If there is a solid way to test them with the multimeter i have handy, i do have a DIY Osiliscope. I am Just getting into this as a passion/hobby so every learning experience is worth it as long as I dont break the thing further. 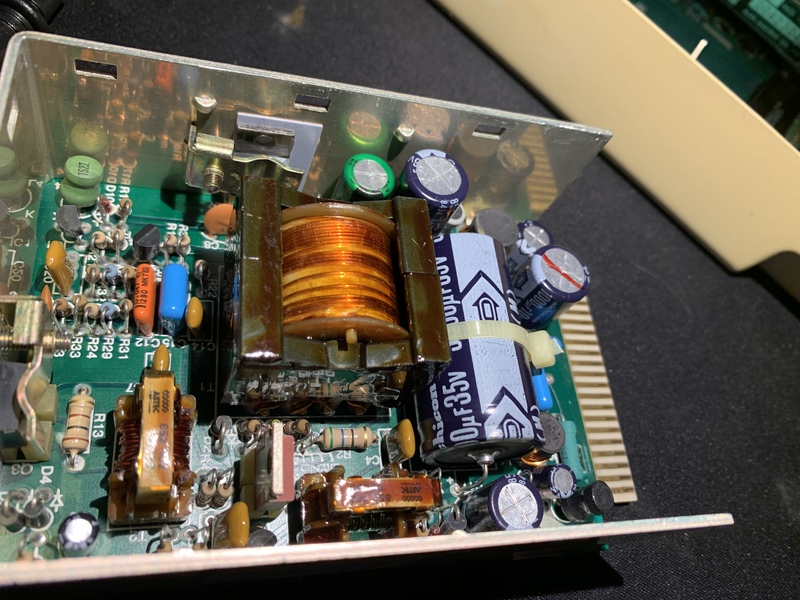 back to the drawing board from looking at some references i think it should be 12 volts where i am getting 4.3V so it is likely the power supply i should have just recapped instead of checking the voltages on the pins for the floppy header. 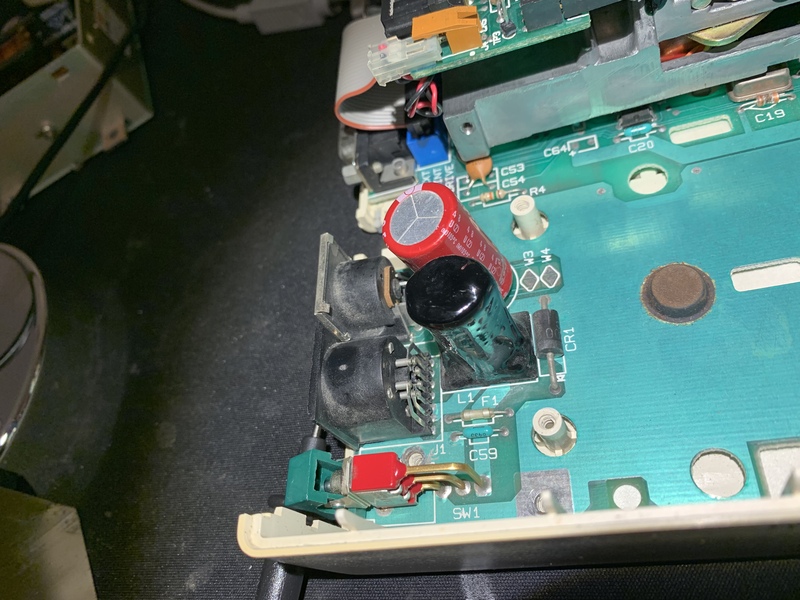 The floppy drives need the 12V voltages to work, so it makes sense if your power supply is out of spec on that you'd get the symptoms you are seeing.